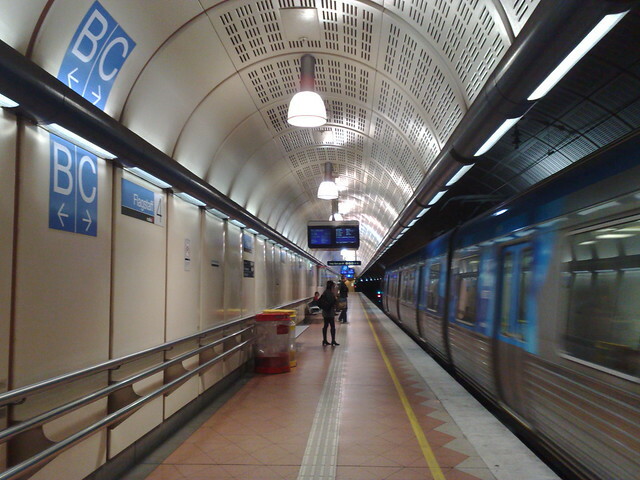 Eagle-eyed people might have noticed new letter indicators on the platforms at Parliament and Flagstaff. Apparently they’re to help platform staff at the most crowded PM peak locations (Parliament eastbound; Flagstaff westbound) announce which carriages have the most space, though I am yet to notice them do so… and I note these ones are on Flagstaff’s Burnley loop platforms, where they aren’t really needed. A lot of tram stops, particularly those where the tram doesn’t stop in traffic, are getting platforms. The only catch with this, of course, is that on many of the routes getting them, no low-floor trams run yet, so for the moment it doesn’t help with accessibility. This one is at the terminus of route 64 in Brighton. 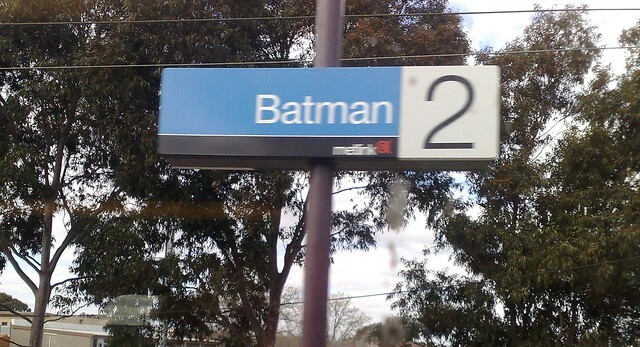 Friends used to live in Preston, which is in the electorate of Batman. One of their fridge magnets/calendars was from the local ALP member, and read “Martin Ferguson… working for Batman”. I did chortle. 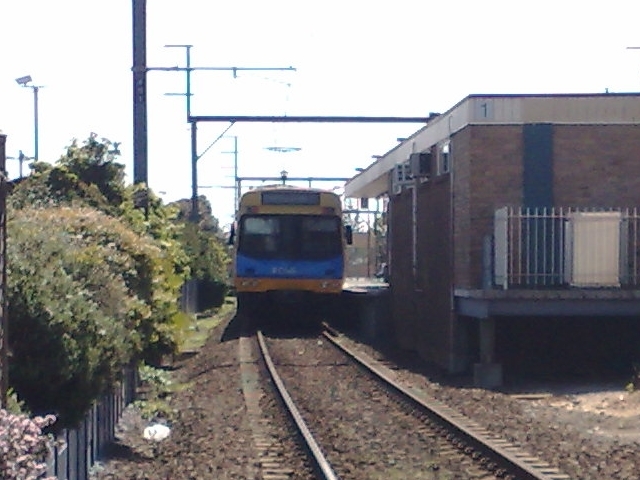 Nearly all of the platform stops along route 64 are also served by route 5. There are the odd few that aren’t such as the one above though. The entire route 75 extension to Vermont South has platform stops but there are no accessible trams. This has resulted in controversy. The first one looks like a bus. I don’t get what the B and C arrows mean or how they are used.. can someone please explain. I’m very interested. @Damo, they are intended to match positions of the carriages along the platform (when stopping in the afternoon peak direction), eg carriage A, B, C, D, E, F.
V/Line also use carriage letters, in association with seat bookings on their long distance services. I remember seeing a bus once that had “I’m lost” as it’s headline thing…but that was in Brisbane. Buses might be smarter in Melbourne, I don’t know. 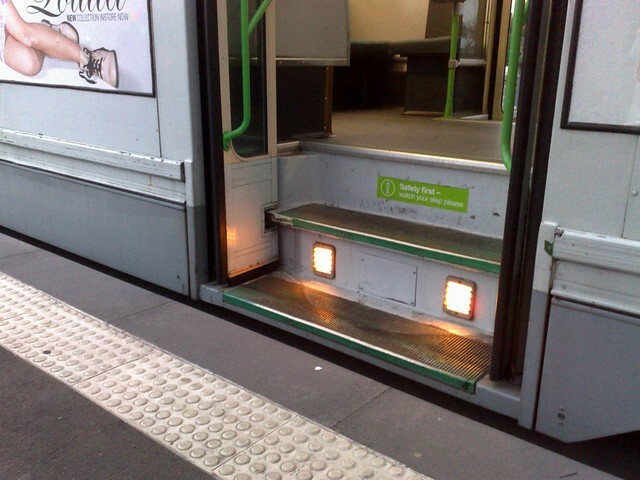 Even one less step helps with accessibility – makes boarding quicker by that fraction of a second per passenger. Oh okay, thats a pretty good concept, but as you commented with the photo, it is yet to be used by the station staff.